First FDA-Approved Marijuana-Based Drug Now Available by Prescription . As of last Thursday, the marijuana-based drug Epidiolex is now available by prescription in all 50 states. The FDA approved the drug in June, but manufacturer GW Pharmaceuticals had to wait for the DEA to reclassify its compounds out of Schedule I before it could begin selling it. That has now happened. Epidiolex is used for treating a rare form of epilepsy and a genetic brain dysfunction called Dravet syndrome, both of which can cause seizures. Iowa Regulators Reject Bid to Raise THC Cap on New Medications . The state's Medical Cannabinoid Board voted unanimously last Friday to rebuff an effort to raise the 3% THC cap on new medications. Proponents argued that more THC is more effective in treating some conditions, while critics worried that lifting the limit could encourage abuse. "I'd like to get another year or two under our belts and see how people respond with the current THC cap," said board member Lonny Miller, a family physician from Creston. Missouri Votes to Legalize Medical Marijuana . Two of three medical marijuana initiatives won on Tuesday. Amendment 3 , which would have imposed a 15 percent tax and set up a research institute benefiting its author, was easily defeated, while Amendment 2  had 65.5 percent support, and Proposition C  had 56.5 percent. Amendment 2 was backed by both the Marijuana Policy Project and the Drug Policy Alliance. Utah Voters Approve Medical Marijuana . Despite the machinations of the Mormon Church and the state's Republican political establishment, which sought to blunt support for Proposition 2  by promising to pass some sort of medical marijuana bill later this year, voters weren't willing to wait. On Tuesday, Prop 2 had 53.2 percent of the votes, with 76 percent of precincts reporting. Even in Deep Red Utah, medical marijuana wins. Under this measure, people with designated qualifying conditions can obtain a medical marijuana recommendation from a doctor, but patients whose conditions aren't listed have to go through a more rigorous process. Patients won't be allowed to smoke their medicine, either. 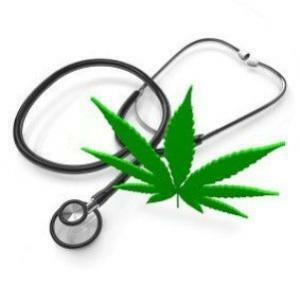 It remains to be seen what will happen with medical marijuana in the legislature.